Back in February we wrote an article about how far integrated graphics has come since 2006. We looked at five different solutions from AMD and Intel and found that integrated graphics have really come a long way with regards to both companies. In that article we told you that we would update the article once AMD Trinity APUs and Intel Ivy Bridge processors came out. Well, Intel released the quad-core 3rd generation Intel Core processor family on Monday and this is the 22nm Ivy Bridge processors that we have been waiting on. Microsoft DirectX 11, OpenGL 3.1 and OpenCL 1.1. These are significant changes and something we wanted to take a look at. We could have used the Intel DH67BL motherboard for testing, but we managed to get our hands on the Intel DH77EB motherboard and used it. We wanted to use a processor that was equivalent to the Intel Core i3-2105 or AMD A8-3850, but Intel has not released any Core i3 processors based on the Ivy Bridge microarchitecture yet. We settled for the Intel Core i5-3550K, which is a quad-core processor that has a base clock of 3.4GHz and no HyperThreading support. The Intel HD Graphics 4000 on the processor has has a base clock of 650MHz and a maximum dynamic frequency of 1150MHz. 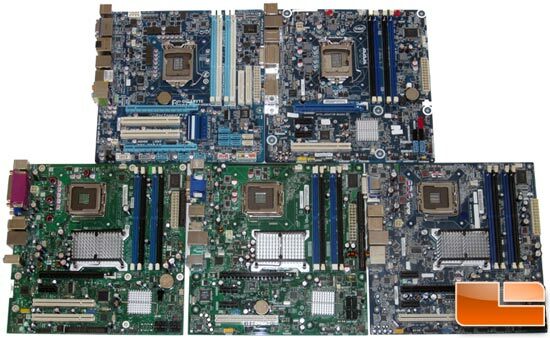 In the last article we rounded up five Intel and AMD boards and tried to get one from each of the past five years starting in 2006. Those boards and the test results from those platforms remain the same as we are using older game titles and most of these platforms no longer get driver support. 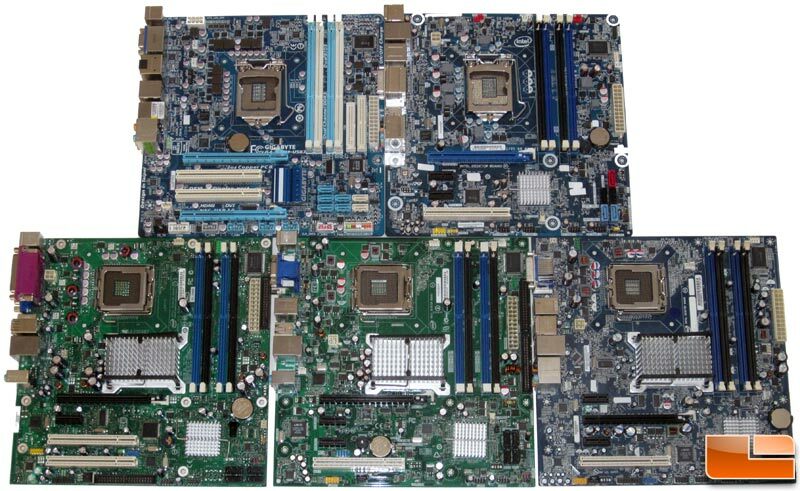 We tried to make it as fair as possible, which is hard considering the Intel motherboards used for this article feature three three different CPU sockets. 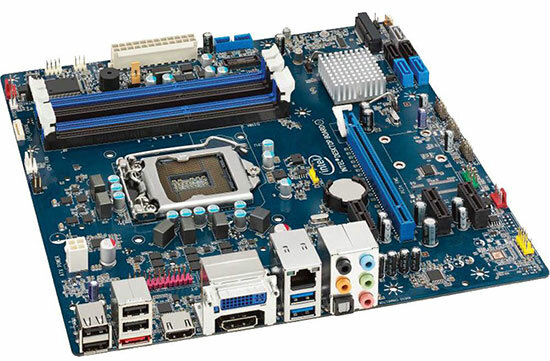 We used the Intel Core 2 Duo 2.53GHz Processor on the LGA775 boards, the Intel Core i3-530 2.93GHz Processor on the Intel LGA1156 board and the Intel Core i3-2105 3.1GHz ‘Sandy Bridge’ processor on the LGA1155 board. We updated each boards BIOS to the latest version and ran either 4GB DDR2 CL5 at 800MHz or DDR3 CL9 memory at 1333MHz on each of the respective boards. 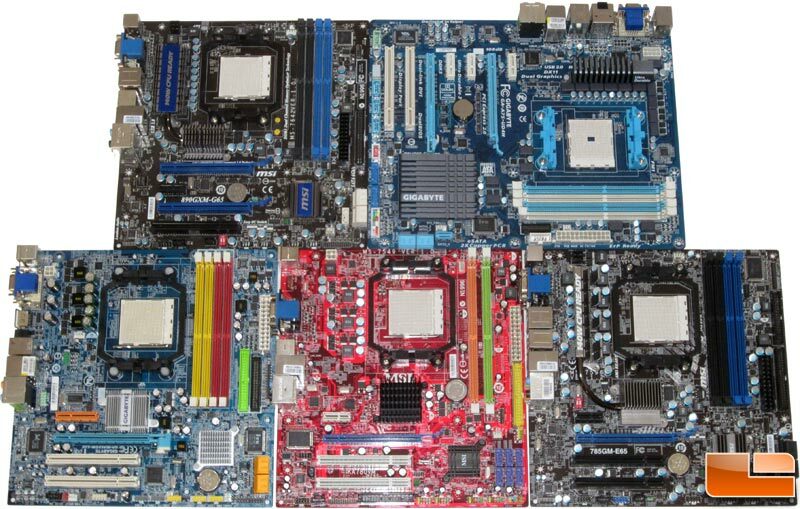 On the AMD motherboard side we had several different sockets, but could get away with using just two processors. We went with the AMD Athlon II 3.0Ghz dual-core processor and the AMD A8-3850 ‘Llano’ 2.9GHz quad-core processor for testing. After getting all eleven of the motherboards BIOS versions updated, we loaded up Windows 7 64-bit on OCZ Vertex 3 240GB solid-state drives and installed the latest drivers for each platform. Now that all the systems are updated, we are finally ready to do some testing.